We manufacture and sell beautiful party marquee tents. We have been exporting party marquees to more than 120 countries for large parties events. Party marquees are the best choice for holding your party, here you can find all kinds of party tents. As a manufacturer, we provide exceptional party tents and marquees at the best prices. 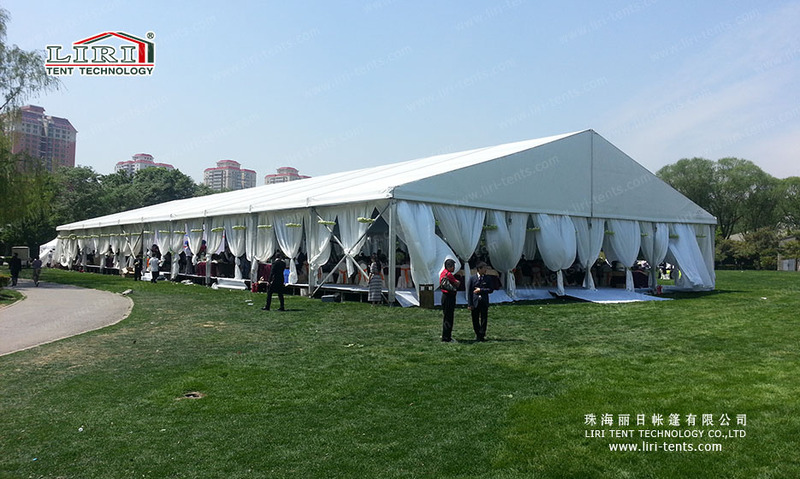 We provide comprehensive manufacturing and selling service for all types of party tents and marquees. Marquee tents sale give you the opportunity to surprise guests coming to your party. Flexible to connect to regular A-frame or high peak units. Durable, wind-resistant, flame retardant with according certificates. Clear span design without extra interior poles.